Home » Announcements » New Payment Options Now Available! CCWD is pleased to announce it has implemented a more secure, convenient and user-friendly payment processing system called Paymentus. This system provides significant benefits to customers, enabling them to securely pay their bills faster and more conveniently. To use this new system, customers must create new online accounts – registering is easy and only takes a few minutes. Existing accounts created using our old system will only be supported through August 31, 2016. The new system allows customers to make one-time payments, enroll in AutoPay, view e-Bills, set up email payment reminders, and easily manage multiple accounts. Click here to see a bill insert that will be sent to all CCWD customers. In order to take full advantage of the new and improved payment options, all customers must visit this link and follow the instructions to create new accounts. This process only takes a few minutes. Once your new account has been created, click on the “Accounts” tab and select “Add Account”. 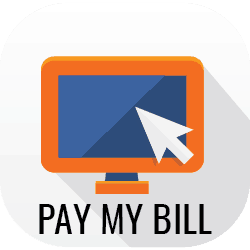 Enter your account number and you’re ready to view and pay your bill online. If you are currently signed up for automatic credit card or checking account payments through CCWD, you must now sign up online using our new payment processing system. CCWD will only support the existing automatic credit card and auto checking payment systems through August 31, 2016. After that date, existing automatic payments will no longer be processed. To sign up for the new system visit this link and follow the on-screen instructions. To avoid duplicate payments, please notify the Customer Service Department when you have signed up for the new system. Please note, anyone given access to your account will be able to see your name and mailing address, per Calaveras County public records.